This month forward-thinking ideas on design and lifestyle shifts are ripe with influence within the pages of Trendease. From the office to the backyard to the rooms that make up one’s home, the creations uncovered here will keep readers on their toes and ahead of the curve. Textiles, ceramics, furniture, lighting, and other products come alive for the coming seasons and years into the future. Modernized traditions, new material innovations, and thought-provoking theories are here. Get inspired with the November edition! We attend over 100 design events a year on your behalf to bring you trend insights and design movements to help you maintain cutting-edge knowledge of the lifestyle and design markets. Currently we keep readers in 10,145 cities within 166 countries / territories in the know! Are you reading Trendease.com? Worldwide — Over the last couple of years the Trendease Team has noticed some students and recent graduates playing with wood veneer and other plant life in connection with textiles. This has picked up momentum and we even see mainstream companies, such as Creation Baumann, joining in with this creative experimentation leading to new window and wall coverings for the home and contract markets. Multiple European Cities — A new light is being shone on wallpaper, window treatments, and upholstery. LEDs, neon embroidery, and phosphorescent fibers are creating the soft, light glow that is catching the attention of the designers, architects, and retail buyers. Creations from England, Belgium, Turkey, and the Netherlands can be discovered in this gallery of images shot at the plethora of fall design events. Multiple European Cities — Furniture, lighting, upholstery, and decorative accessories have a split personality here. At the hands of skilled craftsmen and producers diverse wood species are applied to designs that will amaze you. Functional and beautiful, these items are something on which to rest your gaze, indoors and out. Multiple European Cities — Like in many of the classic fairy tales told to children, there is more than meets the eye in this gallery. What appears to be a shattered piece of material on a construction site is actually an innovative sample that has been abused by hundreds, if not thousands of hands fascinated by this new material. And then there is what looks like cracked clay and marble swatches. In fact, the “clay” in a squishy foam-like substance and the three samples below are faux furs. Don’t judge a book by its cover. Worldwide — With today’s connectedness to our electronic devices the work day does not always remain in the office, so if we are taking work home with us, does it not make sense that part of the home is making its way into the office? A huge shift is taking place in the manner in which we work; without a doubt designers will be developing new products around this change. Bali — Traditional skills and local heritage are appealing to the international marketplace. Ikat, suzanis, and tribal motifs are just a few examples of time-honored styles making their marks on the global design scene. During a recent trip to Indonesia we had the fortune of being able to watch batik masters practice their skill of wax-resist dyeing techniques in action. Get a glimpse here. London — While the market is celebrating global and ethnic designs, the AACDD brings leading-edge talent together from the UK, Africa, the Caribbean, the USA, Canada, Japan at just the right time. Here heritage and traditions are celebrated, while at the same time modern processes and technologies are embraced to create unique designs for a market that is tired of mass production, and having products without a soul, or a good cause behind them. 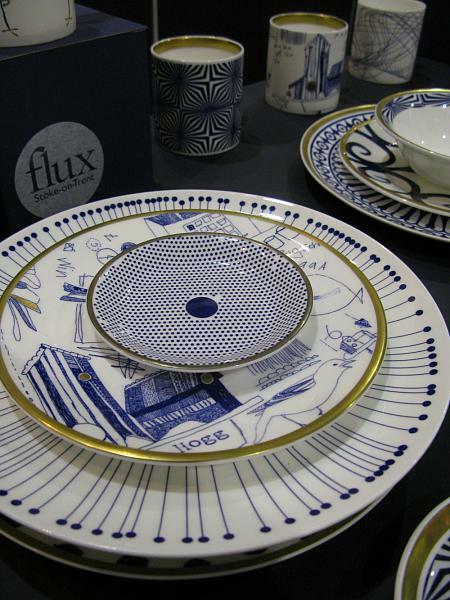 Bangkok — At the Bangkok international housewares and giftware show, BIG+BIH, some of the latest creations ready for export were on display in the Design Forum. The Design Forum showcase is supported by the Office of Product Value Promotion, Department of Export Promotion, Ministry of Commerce and is part of the goal to develop innovative Thai product designs to compete in the international marketplace. Despite recent floods, much of Thailand is still open for business. Bangkok — The Design Excellence Award (DEmark) has five categories: Furniture, Lifestyle Products, (Gifts & Decorative Items / Household Items), Fashion Products (Fashion Accessory / Leather Goods / Jewelry / Textiles), Industrial Products, (Home Appliances / Equipment and Facilities for Office), and Packaging (Food Packaging / Health & Beauty Packaging). In this gallery subscribers can take a look at some of the products that caught our attention. Multiple European Cities — The future of light is a bright one! This week’s newsletter and photo selection represents a collection of inspiring lighting creations discovered at Dutch Design Week and the London Design Festival. All of the tidbits are supported by images that subscribers can see once they log in. Eindhoven — The most desired furniture today is not mass produced and directly off of the assembly line, it is a reflection of the owner; it is individual and reflects culture. In this week’s newsletter you can discover new ways of housing and presenting objects of everyday life. We’ve got mobile storage, cabinets for memories and keepsakes, jewelry, garden equipment, tea, and a place to hide office items.